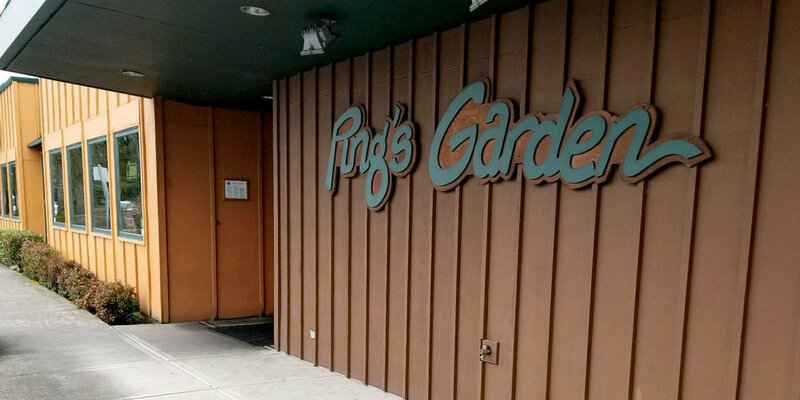 In 1983, Ping's Garden Restaurant became a reality of Ping Lee, vowing to offer the finest in Chinese/American cuisine in the Albany and surrounding areas. Ping's Garden occupies a beautiful location with a feeling of Asia, yet swirled with American touches. 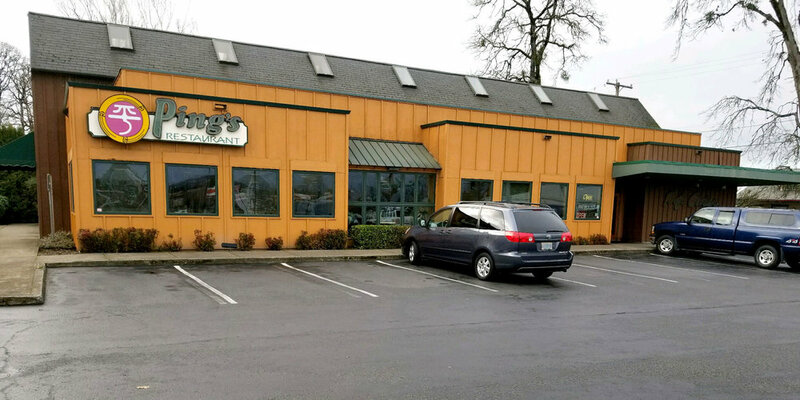 Since 1995, Ping's Garden Restaurant has been conveniently located at the corner of 9th Avenue and Oak Street in Albany, Oregon. The main entrance to the restaurant is 1206 9th Avenue SE. 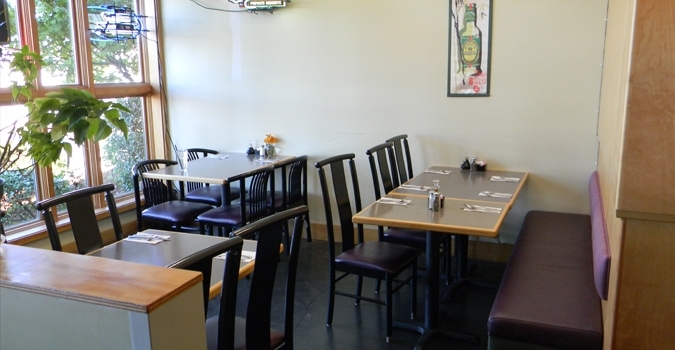 Ping's Garden has a large, family friendly dining area, an intimate lounge, and popular banquet room. Our diverse cooking style is employed with a focus on the Szechuan and American genre. Our Banquet Room has seating available for 55-60 people comfortably and is quite popular for both business and personal gatherings. We also offer exquisite asian inspired gifts available for purchase. All of the classic chinese dishes are available from our extensive menu, as well as the Chefs' creations and "Specials of the Month" for customers to choose from. Ping's Garden also offers a full-service bar, complete with our own "wine cellar favorites". Domestic & Imported bottled beer and our Bartender's unique mixed drinks. Smoothies & Cooler's and a variety of Starbucks coffees are also among the broad selection of available drinks. Ping's Garden is always delighted to tailor to the individual needs of our customers. Acclaimed Chef Ping influences the kitchen staff with more than 25 years of culinary expertise. Raised in the family restaurant business, Ping has extensive experience in the restaurant industry and strives to present you with the best of culinary creations. Come in today and experience Ping's Garden. Casual Intimate Fine Chinese Dining at it's best! Golden brown chicken wings glazed with Ping's wife's special sauce. You've got to try them! House soup made with minced pork, mushroom, and egg drops in a clear broth. A rich soup made with fresh pork, bamboo shoot, tofu, wood ears, and egg drop soup. We flavor it with white pepper and premier rice vinegar. We take our regular Wonton Soup and add extra vegetables, chicken and s shrimp in a hearty broth. * NO SUBSTITUTIONS PLEASE * All combination plates are served with a cup of egg flower soup. Hot and sour soup add .50. For Pan Fried Noodles add $1.25 extra. Make up your own platter! Minimum THREE (3) items per platter except for SENIOR 60 and over or child under 12, TWO (2) items minimum. You may choose to have double portion on any of the items. Served with Egg Flower Soup. Hot and Sour Soup add .50 extra. Juicy chicken strips,bacon, and cheese Served over a bed of green salad with garnished and herd seasoned croutons. All Seafood Dishes are served with your choice of fried rice or steamed rice. All Beef Dishes are served with your choice of fried rice or steamed rice. All Pork Dishes are served with your choice of steamed rice or pork fried rice. All Mixed Dishes are served with your choice of steamed rice or pork fried rice. All Chicken Dishes are served with your choice of fried rice or steamed rice. Served with your choice of fried rice or steamed rice. Each Egg Foo Young order has three (3) patties. Please, minimum of two or more people. These Family dinners are best when shared by two or more people to sample the different dishes. It is the Chinese traditional way of dining together. Our banquet room will give you privacy and plenty of natural lighting. Our formal place settings and bouquets of fresh flowers will bring an elegance to any event. Combined with your custom-selected menu of dishes prepared by Chef Ping and our staff, your party or meeting will be an occasion that will be remembered by your guests for a long time to come. Let Ping's Garden Banquet Facilities host your next party or special occasion. Our banquet room can accommodate parties of 55-60 people, smaller private affairs or business gatherings. To make a reservation to book your next event, please call us at 541-967-7367 or Fax us at 541-967-0120. Come and make yourself at home in our intimate Lounge, a favorite spot to relax and unwind. Whether seated at the bar enjoying a drink while waiting for a take out order or at one of our cozy tables engaged in never-ending conversation and laughter with friends, our lounge has a magical atmosphere and a drink menu with something to please everyone. Be sure to try one of our favorite wines from our "Wine Cellar" selection. We offer a variety of domestic and imported bottled beer and beer on tap. And don't forget to sample one of our bartender's specialty drinks such as Ping's Absolute Lemonade, A Dragon Trail, Peking Celebration, Margarita Azul, French Riviera, Gilligan's Island or if you have something special that you prefer, we will gladly accommodate your request. Also, check out our monthly "Cocktail Special" for something new.